Published: Jan. 27, 2019, 2:45 p.m.
Mahjong is a classic and popular game, it has fans all over the world, but many people have no idea where and how the game came about. We have separated some historical information so that you understand a little more about this game so loved by many. A little history of Mahjong Games! Mahjong as we know it today is descended from an ancient oracle used by the Chinese fortune tellers. The idea was to predict the position of celestial bodies, after it was discovered that it was possible to record the movement of the stars, like the Sun, the Moon and the planets. Not only did this game, like many others, spread throughout China and around the world, all based on moving the pieces around the board. The term itself can be freely transcribed to Ma Jiang Pai, where Father means stone, a clear allusion to the pieces that one uses to play it. Its previous versions were performed with leaves, which is very reminiscent of our deck concept, however, the past of this custom is still not very clear. The fame of Mahjong Games only grew with the passage of time and new variations were created all over Asia. Currently, there are Japanese, Korean, Vietnamese and Filipino models that have emerged from the same Chinese base. In fact it is very common that in events such as celebrations, celebrations and negotiations, if you play a good match, since these stones have become a national symbol. The practice and techniques of this game did not stop in time, quite the contrary, they were passed down from generation to generation and until today you see many young people who love the game. Did you like to know more about the game? 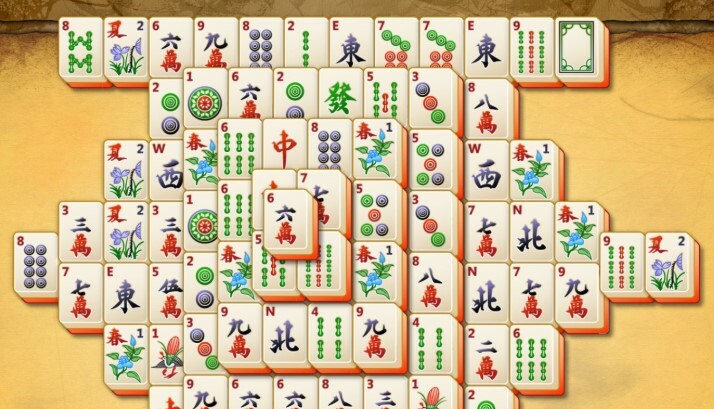 Now let's drop down a list of 10 selected Mahjong Games for you to enjoy. Check out and Good Fun! Published: Nov. 19, 2018, 11:44 a.m. Published: Nov. 19, 2018, 12:08 p.m. Published: Nov. 19, 2018, 12:14 p.m. Published: Nov. 19, 2018, 12:53 p.m. Published: Dec. 20, 2018, 11:49 p.m. Published: Nov. 29, 2018, 9:55 p.m. Published: Dec. 4, 2018, 10:21 p.m. Published: Dec. 5, 2018, 9:45 p.m. Published: Dec. 25, 2018, 10:31 p.m. Published: Nov. 6, 2018, 7:07 p.m.